20 Awesome Christmas Decor Finds Under $20! Because we need a little Christmas right this very minute. Also candles in the windows. And cute stuff bound to undoubtedly sell out quickly. Also. We need under $20 holiday bargains, oui, fabulous friends fond of frugalité? And winter owls in red boots. Oh, red boots! (Ye watercolorist bretheren are likely to be inspired by SOMEONE’S rosy cheeks and itty bitty birdie legs!). Today’s 20 Awesome Christmas Decor Finds Under $20 is a jolly bunch of lovely holiday decorating finds to consider whether you are itching for carols at the spinnet, not quite ready for red kettles at the grocery store, or even thoroughly annoyed with me for ignoring Halloween. Because no matter how you celebrate or decorate for them, the holidays are coming, and even though they are experts at it, maybe they need not sneak up on us this year. 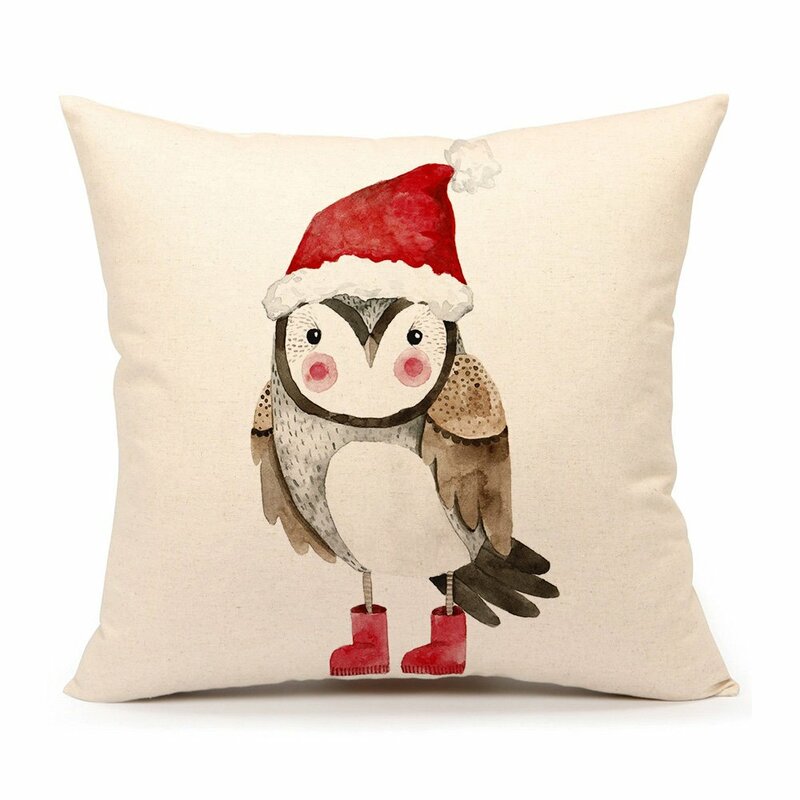 Christmas Owl Throw Pillow: FIND HERE. 20 Awesome Christmas Decor Finds Under $20! Holiday decor, Christmas decorating ideas, and low cost holiday decorating finds. Make sure to click here to PIN THIS POST and save it to your Pinterest board so you’ll be able to refer to it later, and DO FEAST ON HOLIDAY DECORATING INSPIRATION pins HERE and pretty please re-PIN to spread the lovely good cheer. Pin me to save for later. Affiliate links follow and won’t cost you extra to use them – so do use them to help the blog earn a small commission. 20 Awesome Holiday Decor Finds Under $20! Since I’m a declared ‘mostly minimalist’ yet already threw multiples of galvanized luminaria, snowflake giftwrap, and bottle brush Christmas trees in the shopping cart, I have to imagine you too are perhaps inching toward holiday and Christmas decorating items. 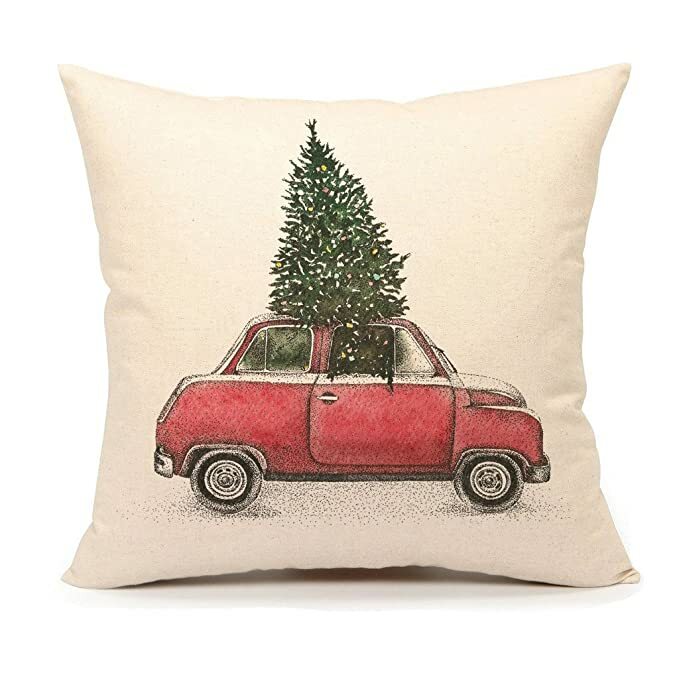 Red Car With Christmas Tree on Top Throw Pillow: FIND HERE. 20 Awesome Christmas Decor Finds Under $20! Holiday decor, Christmas decorating ideas, and low cost holiday decorating finds. 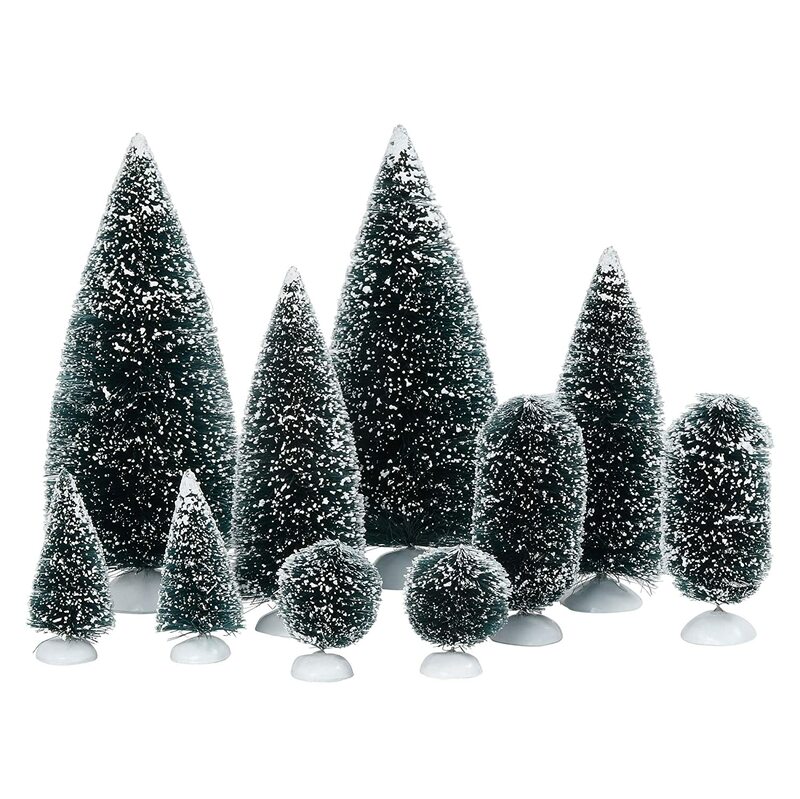 Bottle Brush Christmas Tree Set: FIND HERE. 20 Awesome Christmas Decor Finds Under $20! Holiday decor, Christmas decorating ideas, and low cost holiday decorating finds. More super cute bottle brush Christmas trees RIGHT HERE. 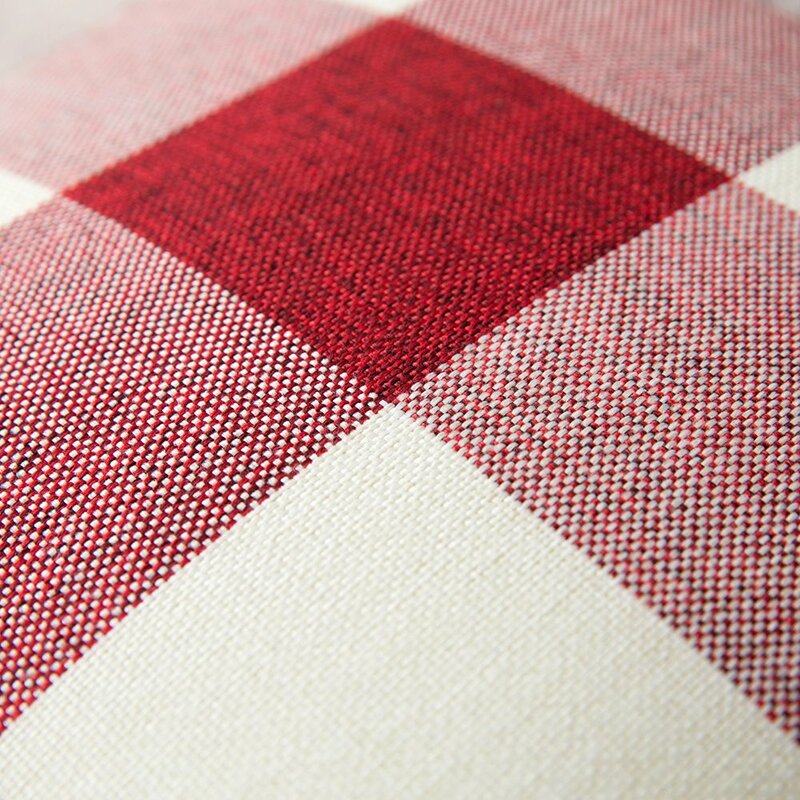 Fringed Red Buffalo Checked 20″ Napkin (about $6 each): FIND HERE. 20 Awesome Christmas Decor Finds Under $20! Holiday decor, Christmas decorating ideas, and low cost holiday decorating finds. 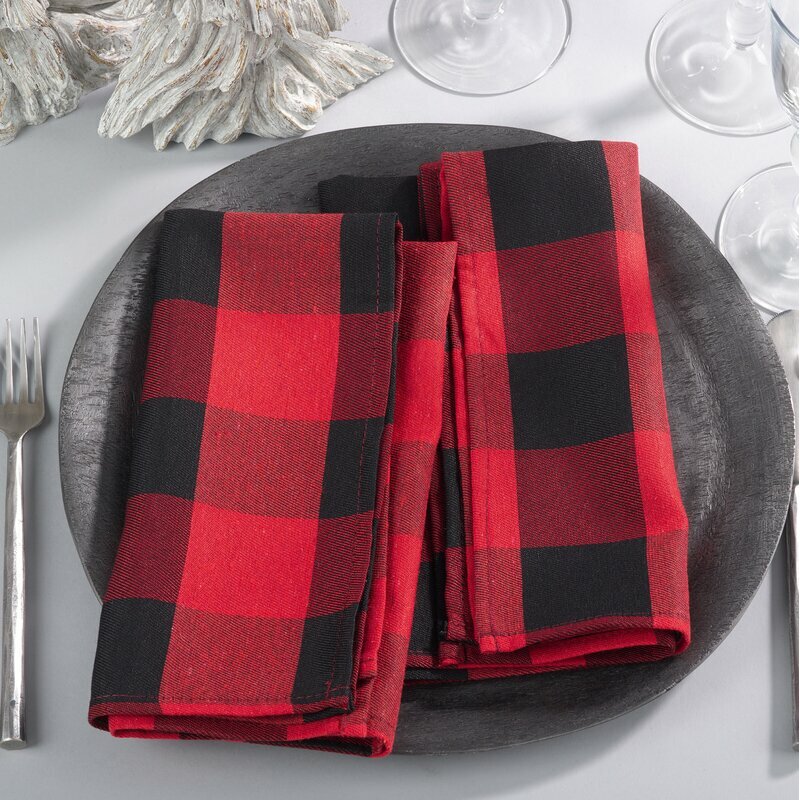 Here’s another buffalo plaid napkin option for about $4.50 each. 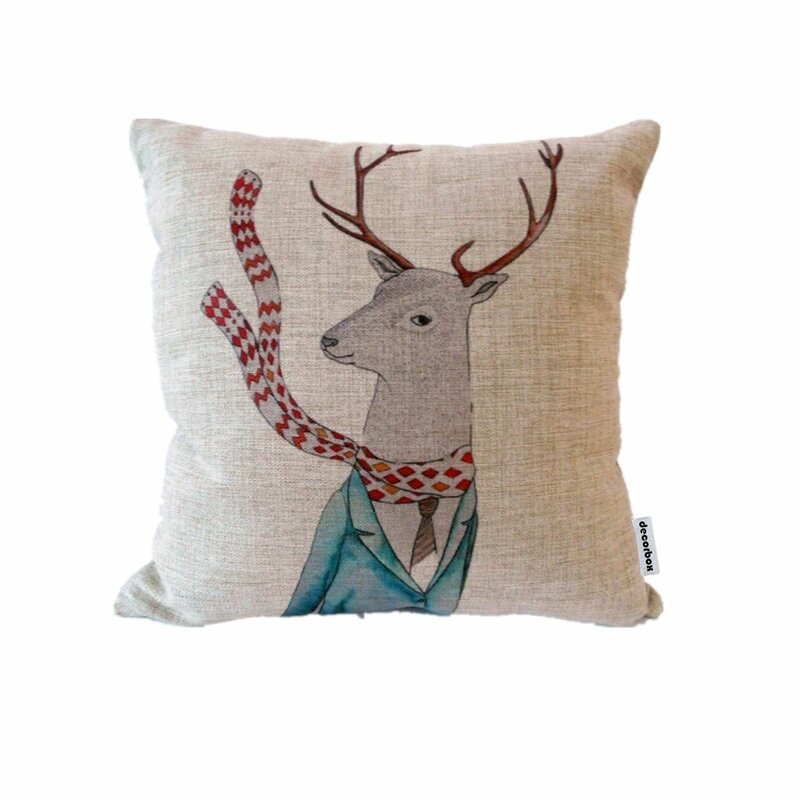 Whimsical Reindeer 18″ Pillow Cover: FIND HERE. 20 Awesome Christmas Decor Finds Under $20! Holiday decor, Christmas decorating ideas, and low cost holiday decorating finds. Tartan Tea Towel: FIND HERE. 20 Awesome Christmas Decor Finds Under $20! Holiday decor, Christmas decorating ideas, and low cost holiday decorating finds. 6″ Prancer Wreath, Preserved: FIND HERE. 20 Awesome Christmas Decor Finds Under $20! Holiday decor, Christmas decorating ideas, and low cost holiday decorating finds. More lovely wreath options RIGHT HERE. Napkin Set, about $4.50 each: FIND HERE. 20 Awesome Christmas Decor Finds Under $20! Holiday decor, Christmas decorating ideas, and low cost holiday decorating finds. 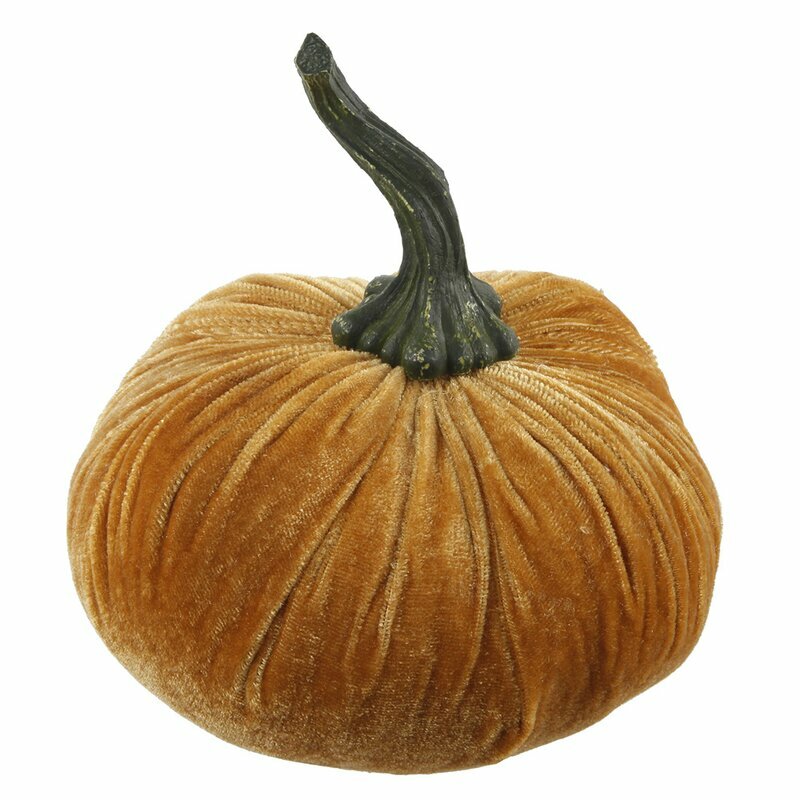 So often, it is those very basic essentials which can be the foundation of season decorating (in all seasons!) that are the most difficult for me to find. I have been searching for a few 10″ tall sized corrugated galvanized or zinc metal farmhouse vases because they are useful all year round for a casual, neutral look for fresh flowers or candles. But they are hard to find at any price point. Pottery Barn holiday decorated table with corrugated steel vases. This one is the most similar to PB’s and is just over 20 bucks. 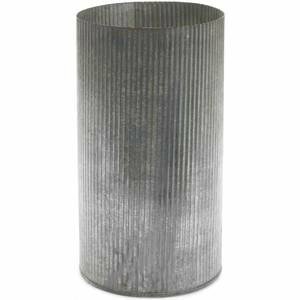 10.5″ Corrugated Metal Cylinder Vase: FIND HERE. 20 Awesome Christmas Decor Finds Under $20! Holiday decor, Christmas decorating ideas, and low cost holiday decorating finds. 7″ Rustic corrugated zinc farmhouse vase: FIND HERE. 20 Awesome Christmas Decor Finds Under $20! Holiday decor, Christmas decorating ideas, and low cost holiday decorating finds. This one below is also 7″, attractive, and priced 50% less (Hayneedle) than other sources noted. 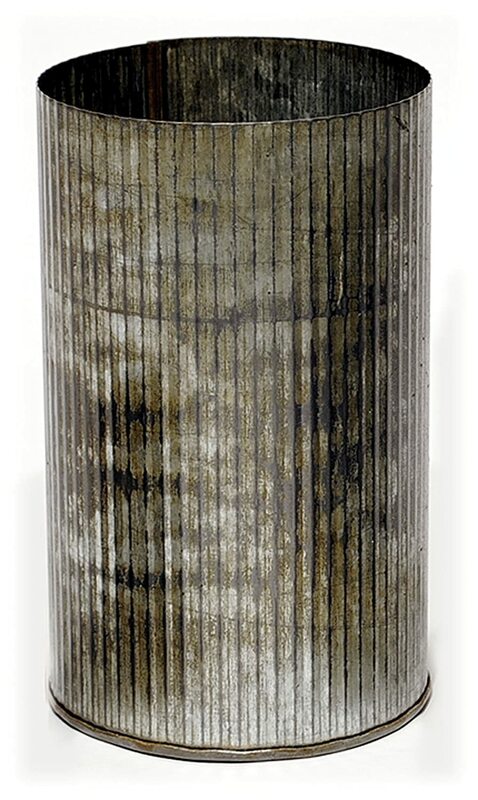 Corrugated Galvanized Metal Farmhouse Vase 7″ high: FIND HERE. 20 Awesome Christmas Decor Finds Under $20! Holiday decor, Christmas decorating ideas, and low cost holiday decorating finds. 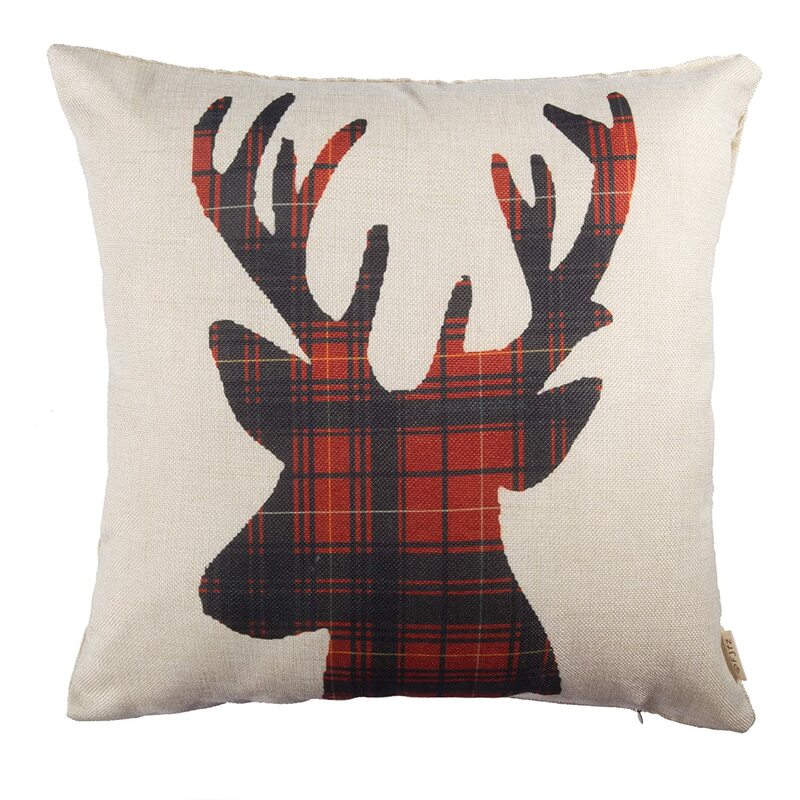 Plaid Reindeer Pillow: FIND HERE. 20 Awesome Christmas Decor Finds Under $20! Holiday decor, Christmas decorating ideas, and low cost holiday decorating finds. 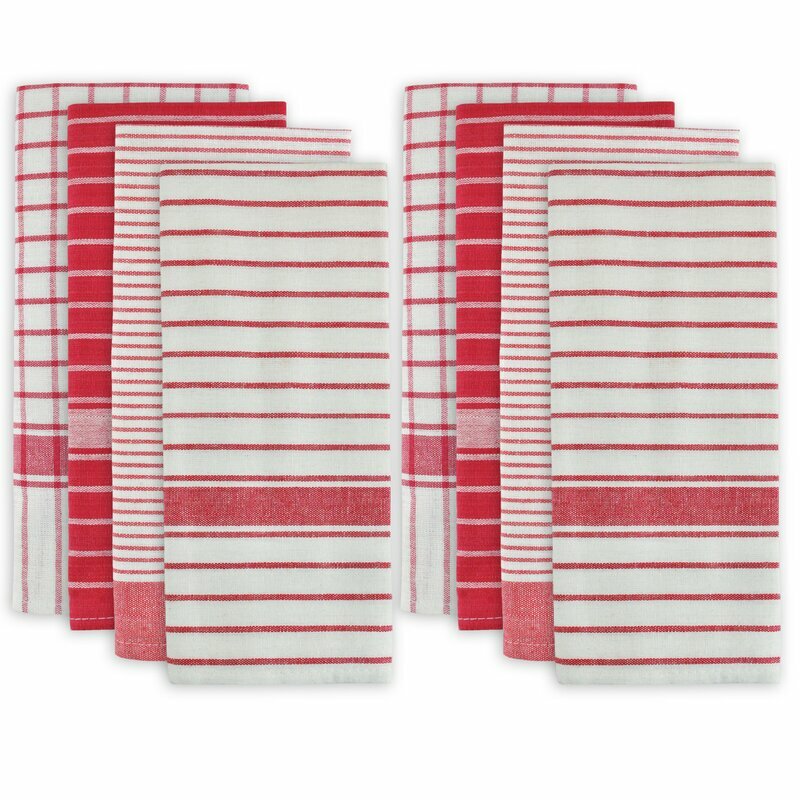 Festive Striped Red Dishowel Set of 8, each towel about $3: FIND HERE. 20 Awesome Christmas Decor Finds Under $20! Holiday decor, Christmas decorating ideas, and low cost holiday decorating finds. 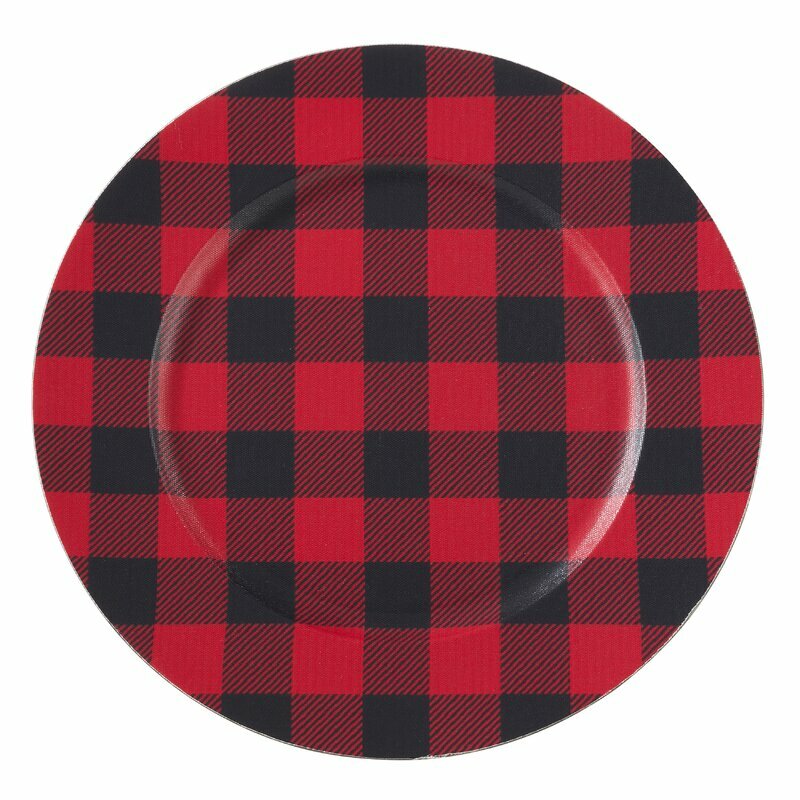 Red and black plaid farmhouse charger plate (about $9 each): FIND HERE. 20 Awesome Christmas Decor Finds Under $20! Holiday decor, Christmas decorating ideas, and low cost holiday decorating finds. 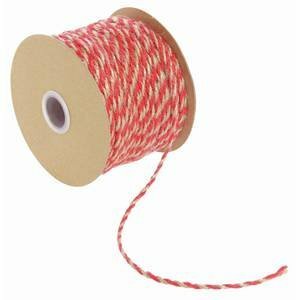 Red Twine: FIND HERE. 20 Awesome Christmas Decor Finds Under $20! Holiday decor, Christmas decorating ideas, and low cost holiday decorating finds. 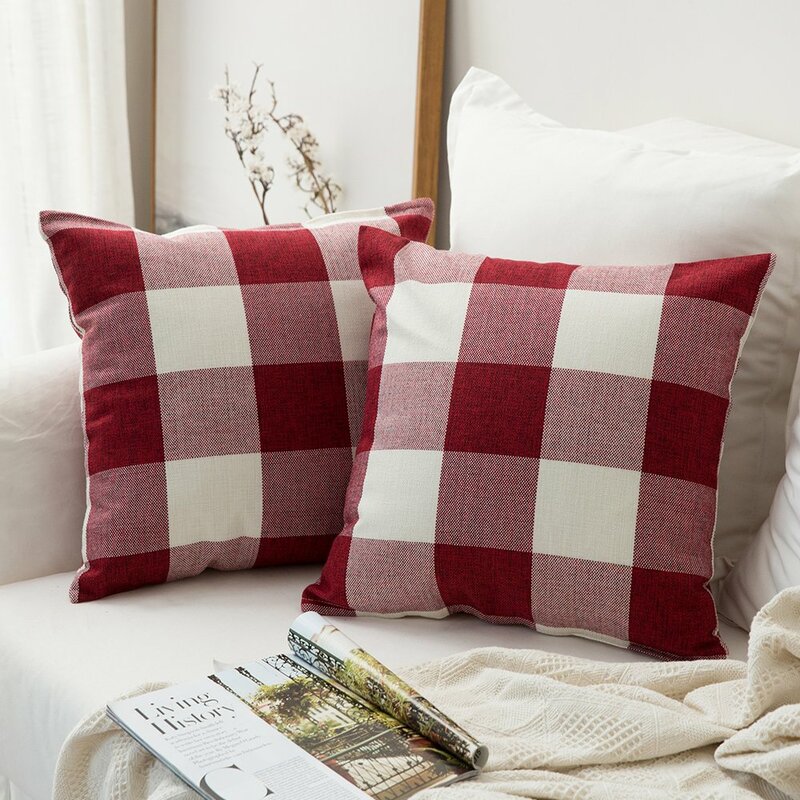 Set of 2 Red Check Pillows: FIND HERE. 20 Awesome Christmas Decor Finds Under $20! Holiday decor, Christmas decorating ideas, and low cost holiday decorating finds. Are You a White Christmas Fan? 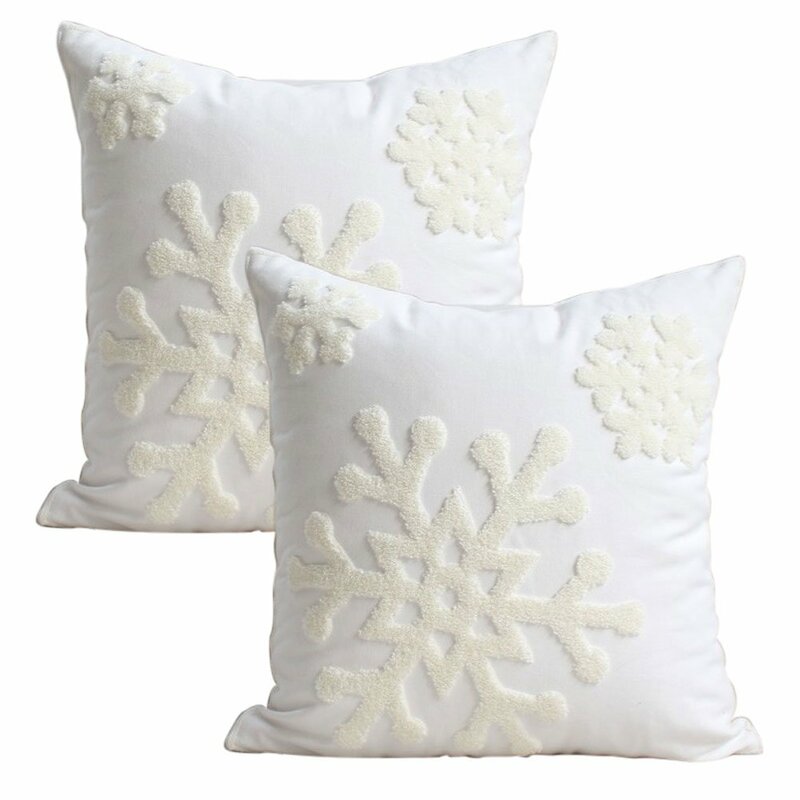 White Snowflake Pillow Cases, Set of 2: FIND HERE. 20 Awesome Christmas Decor Finds Under $20! Holiday decor, Christmas decorating ideas, and low cost holiday decorating finds. 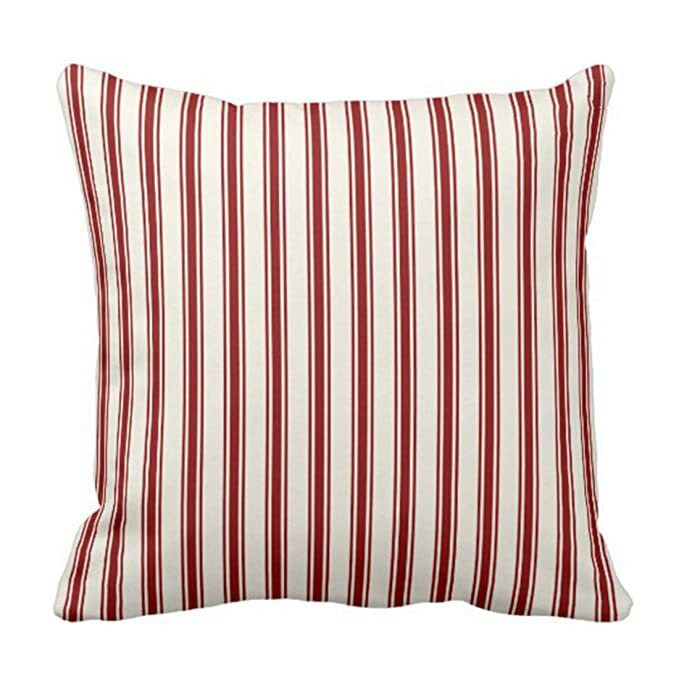 Ticking Stripe Pillow (Red and cream): FIND HERE. 20 Awesome Christmas Decor Finds Under $20! Holiday decor, Christmas decorating ideas, and low cost holiday decorating finds. Holiday Ornament Storage Box: FIND HERE. 20 Awesome Christmas Decor Finds Under $20! Holiday decor, Christmas decorating ideas, and low cost holiday decorating finds. 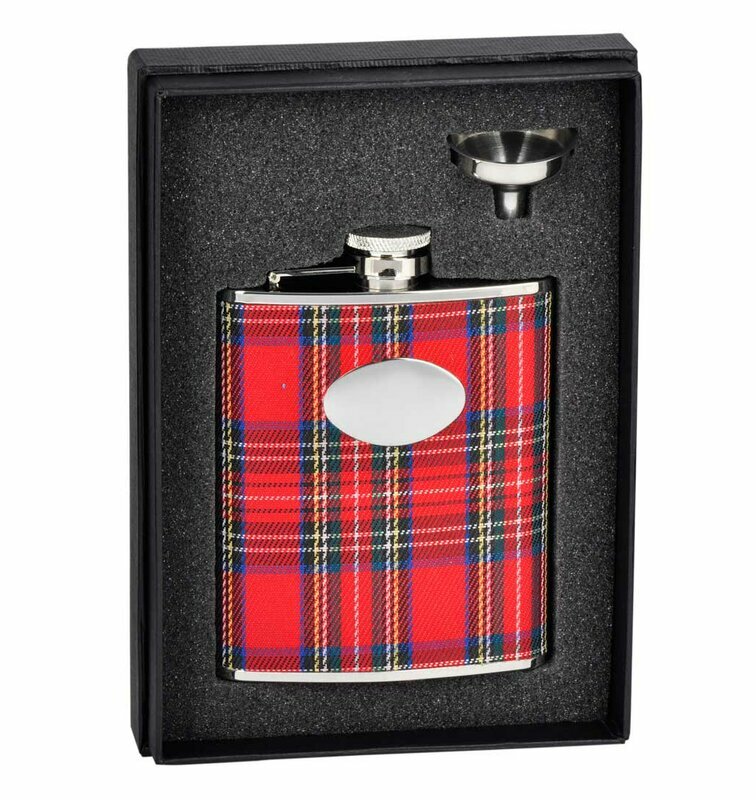 Red Plaid Steel Flask Gift Set: FIND HERE. 20 Awesome Christmas Decor Finds Under $20! Holiday decor, Christmas decorating ideas, and low cost holiday decorating finds. 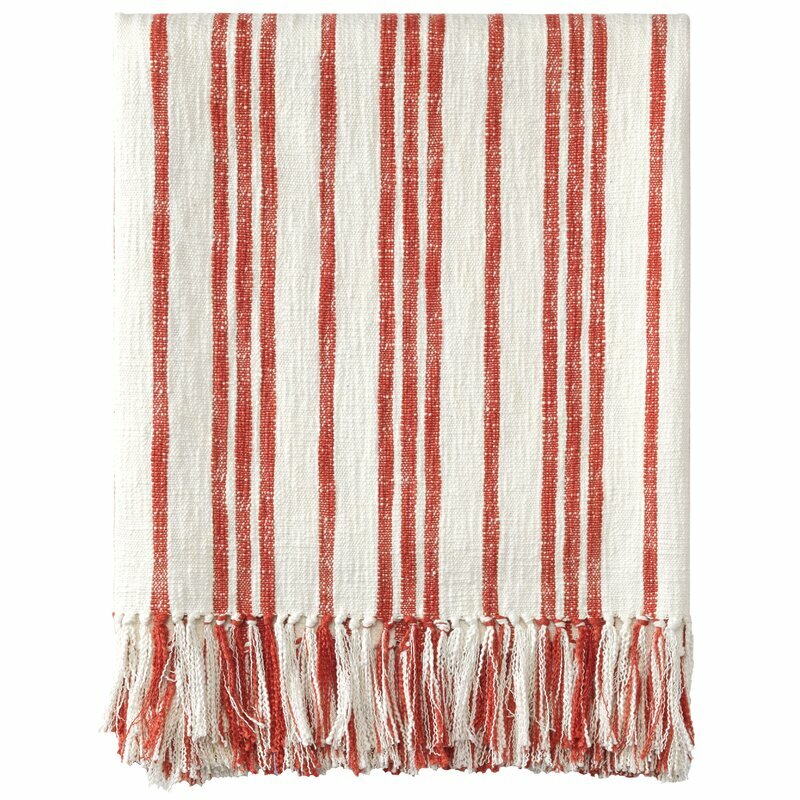 Candy Cane-tastic Red and white stripe grain sack throw: FIND HERE. 20 Awesome Christmas Decor Finds Under $20! Holiday decor, Christmas decorating ideas, and low cost holiday decorating finds. Winter Frolic Serving Bowl, Ruby: FIND HERE. 20 Awesome Christmas Decor Finds Under $20! Holiday decor, Christmas decorating ideas, and low cost holiday decorating finds. 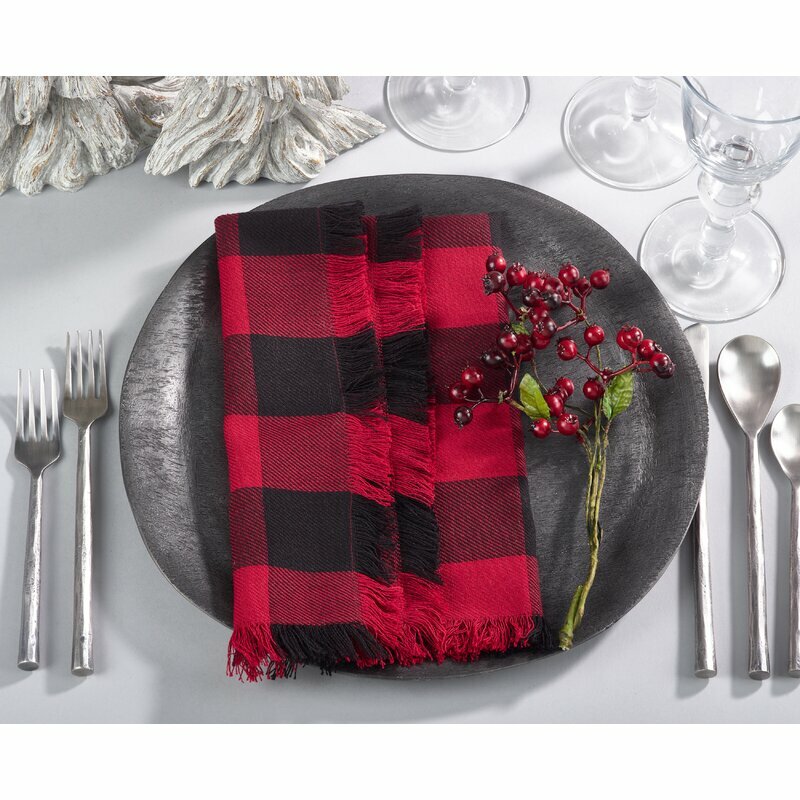 Ralph Lauren Plaid Dinner Plate: FIND HERE. 20 Awesome Christmas Decor Finds Under $20! Holiday decor, Christmas decorating ideas, and low cost holiday decorating finds. 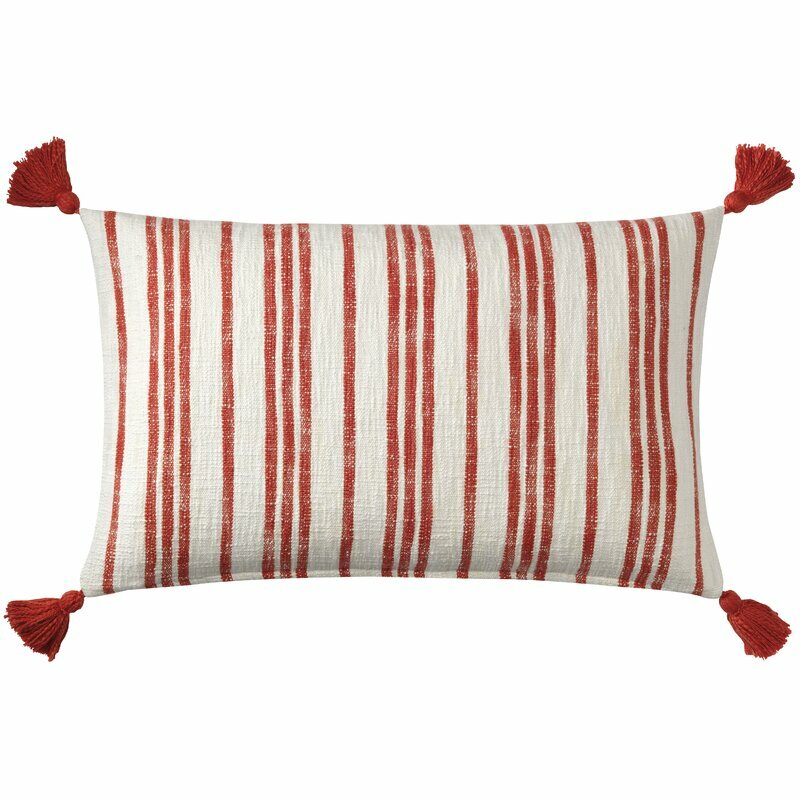 Red Stripe Gran Sack Cotton Pillow: FIND HERE. 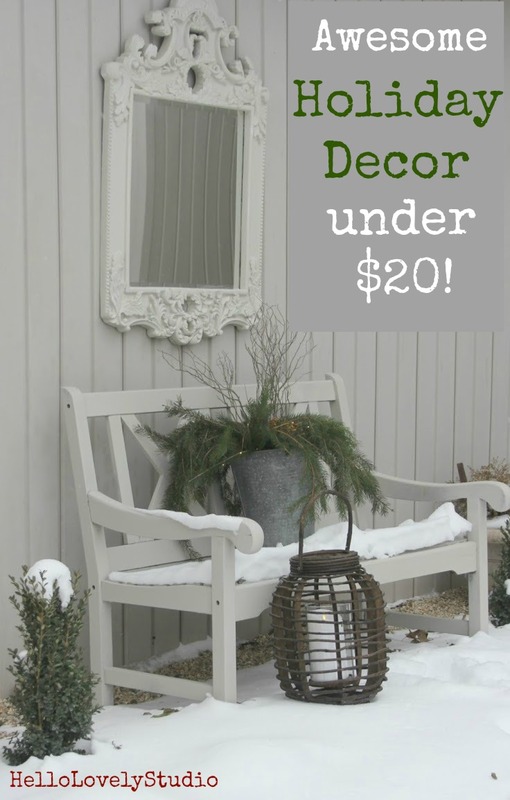 20 Awesome Christmas Decor Finds Under $20! Holiday decor, Christmas decorating ideas, and low cost holiday decorating finds. Grown a little colder, Grown a little sadder, Grown a little older. More pretty things in the SHOP HERE.